Our Tech teams leverage a diverse stack to create cutting-edge solutions which cover the full customer experience – starting with an online search for food and ending with a delicious meal arriving at your doorstep. Be a team player for DH CISO and work closely with him on a broad range of high priority topics. 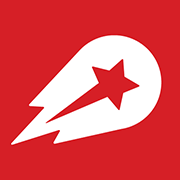 Work with our entities on the execution of Delivery Hero’s InfoSec strategy and goals. Contribute to important initiatives ranging all the way from incident response and incident management, to cloud security and security controls. Keep up to date with current events and industry trends. 2+ years of professional experience. Thereof 1+ in information security – ideally combined with experience in the dynamic environment of a fast-growing company. Bachelors in Information Technology, Telecommunications, Electrical Engineering, Computer Science, Software Engineering or related. Willingness to travel internationally occasionally. Comfortable with an extremely dynamic, fast-moving and entrepreneurial environment. Ability to do scripting, query data sources (SQL databases, API, web services), and automation. Create and share guidelines and project’s documentation with the InfoSec team. Familiarity (1+ years) with agile practices and processes (Scrum). Certified professional in at least 1 of the following certifications: Security+, CSX foundations, ISO 27001, CHFI, GCIH.